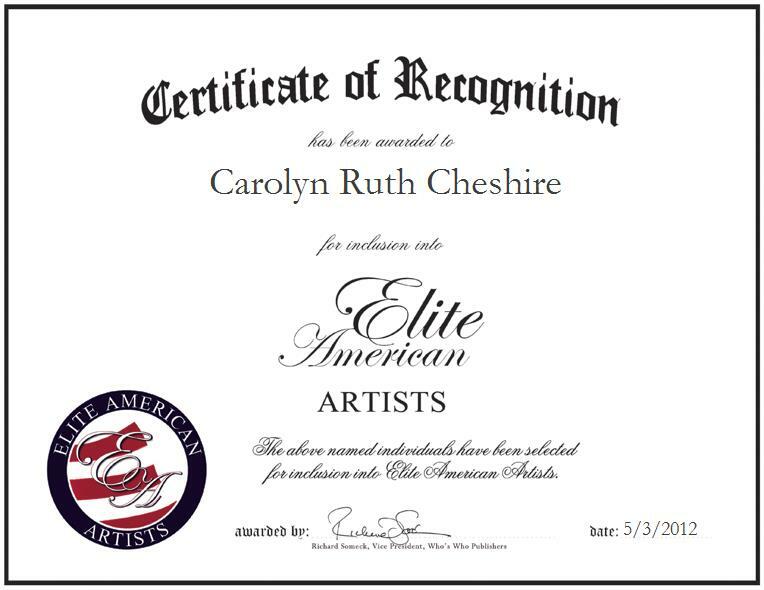 Carolyn Ruth Cheshire is a Professional Artist with CRC Ventures, Inc. The artist and retired teacher has developed a sophisticated background in mathematics, drawing and oil painting which has allowed her to shine as a star achiever by demonstrating her talents and unique perspective. With more than 20 years of professional experience, Ms. Cheshire illustrates inimitable pieces of artwork using colored pencils, and incorporates art techniques, innovative elements of design and math concepts into her work that blend seamlessly to create beautiful pieces of fine art. In an exclusive EliteAMERICAN interview, Ms. Cheshire revealed that it has been sheer determination that has led her down a path to success in her creative endeavors. Over the course of an illustrious career, Ms. Cheshire has received accolades and honors for her outstanding efforts. She has earned a number of art awards, been a Duke University and Honor Society sponsor, and earned various honors for teaching. She was also listed in Who’s Who Among Teachers, and she continuously strives for excellence and gives her all, reaching for perfection in each and every project she takes on. Prior to her retirement from her teaching career, Ms. Cheshire played an influential role in the lives of the students she taught. Just as she was positively molded by her mother and aunt, two role models in her life who both drew and painted, Ms. Cheshire makes every effort to serve as a positive example to others, as she shows them the importance of being a creative force in the world. Ms. Cheshire has inspired her granddaughter, Amber Hill, who is now an extremely accomplished artist, she is very proud of her. Ms. Cheshire’s book, entitled “Are you Having Fun Yet? Doing All the Things You Want to Do,” is available on Amazon.com and in Barnes and Noble.